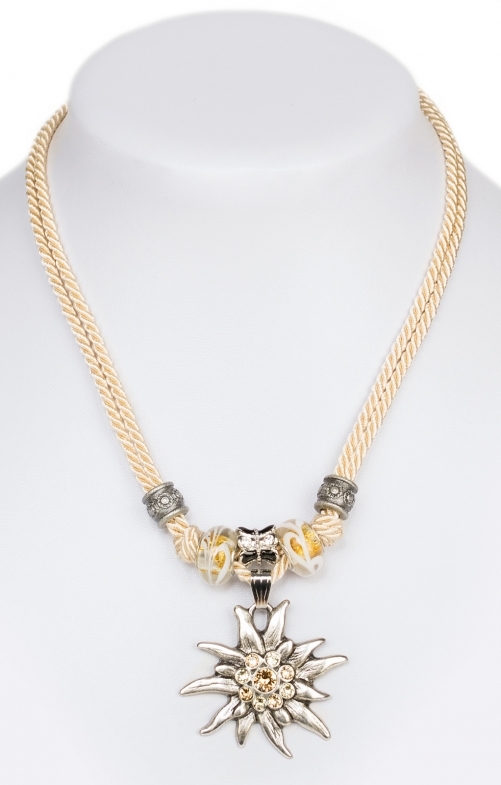 Naturally beautiful, with the double cord chain and edelweiss. Edelweiss belongs equally to mountains and beauty. No wonder the necklace with double cord and edelweiss is so popular with women. The simple natural beauty is carried on all occasions - for example in everyday life, in the office, at events and on holiday. The nickel-free cord is also suitable for allergy sufferers. Qualität der Ware ist sehr gut. Das Preis- Leistungsverhältnis ist ebenfalls in Ordnung. Schnelle Lieferung!